JEFFERSON CITY, Mo. 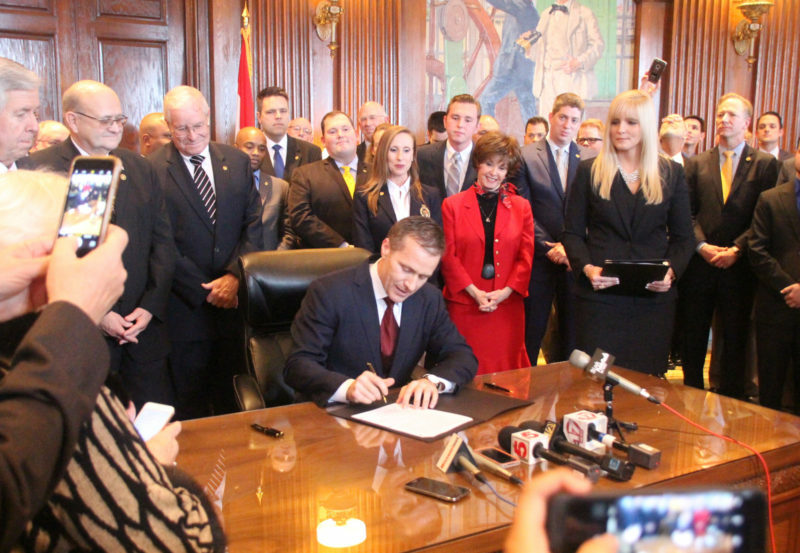 — Missouri Republican lawmakers continue pushing forward with legislation to add right-to-work to the Missouri State Constitution, but some would like them to do so a little more quickly. The measure, which passed with a 93-54 vote, now is headed to the Senate after speeding through the House following the failure of the Freedom to Work initiative petition to submit signatures on time to the Secretary of State’s Office. The measure would protect the controversial right-to-work legislation passed by the legislature in 2017, though the new law has not taken effect due to union supporters gathering signatures to force the issue onto the ballot. Still waiting for action by the Senate, some right-to-work supporters have called on the upper chamber to take up the legislation. With three days left before the end of the 2018 legislative session, the Senate has little time left to sign off on the bill, though the upper chamber managed to pass legislation last week moving the ballot referendum vote to the August primary ballot. That bill passed out of the House Committee on Economic Development on Tuesday night with a 7-2 vote. Now all that remains is for each chamber to take up the respective bills and put them to a vote.